Home / Blog / What Is Heart Disease, Really? What Is Heart Disease, Really? Every minute of every day, your heart is working hard for you. It’s the lifeline to your body. Your heart is essentially a pump that delivers blood to the rest of your body. By beating an impressive 60 to 100 times each minute, it sends oxygen-rich blood to all the cells in your body. The blood comes back to your heart, then goes to your lungs to pick up more oxygen. When you have heart disease, your heart is unable to do its job effectively. Because we put so much of a workload on our hearts, it can be very serious when things don’t work as they should. This is what we refer to as heart disease. Heart disease is the leading cause of death for both men and women in the US. 1 in 4 deaths in the US is caused by heart disease. ½ of all Americans have at least 1 of the top 3 risks factors for heart disease (high blood pressure, high cholesterol, and smoking). Heart disease can often be prevented through healthy lifestyle choices and managing risk factors, such as high blood pressure, high cholesterol, and smoking. Valvular heart disease, which is when the valves that let blood through or out of your heart do not work as they should. Each of these conditions affects the heart a little differently, but they all put your heart at risk of heart attack. Here’s a breakdown on what each condition really means, what the risk factors are, and what you can do about lowering your risk. CAD is the most common type of heart disease in the US. Unfortunately, the first sign of it for some people is a heart attack. There are two main arteries that supply oxygen-rich blood to your heart. Sometimes, a waxy substance called plaque starts to build up in these arteries. This takes many years and can start as early as childhood. Plaque limits the amount of blood that makes it to your heart, which can be life-threatening. Plaque can do two things — harden or rupture. If it hardens, it keeps blood from getting to your heart, which can cause a heart attack. If it ruptures, the fragments can clump together and form a clot, which can cause a heart attack or stroke. Who is at risk for CAD? However, managing other parts of your life can help lower your risk. The goal of CAD treatment is to either slow, stop, or reverse the buildup of plaque and to prevent complications because of those already-blocked arteries. There are four valves in your heart. Their job is very important — to let blood flow through or out of your heart. Then, they close to make sure blood does not flow back into the heart. Much like a one-way street, these valves only allow blood to flow in one direction, and much like driving the wrong way on a one-way street, if the blood goes the wrong way, it can cause serious problems. If the valves allow blood to go in the wrong direction or do not open enough to allow blood flow out, that means oxygen-rich blood is not getting to your other organs and tissues. This can cause chest pain, fatigue, lightheadedness, and shortness of breath, which can worsen over time. Heart valve disease can put you at risk for problems in and around the heart that may be life threatening if not treated. Who is at risk for valvular heart disease? There is good news: valvular heart disease is treatable if it is monitored. If you’re at risk, you should closely monitor symptoms, such as how easy it is for you to do routine activities like taking the stairs or walking faster. If they get worse, take them seriously. How is valvular heart disease treated? You can significantly lower your risk of complications from valvular heart disease with close monitoring and regular follow-up appointments with your provider. “Congenital” means that a problem exists at birth. Congenital heart defects — the most common kind of heart defect — are problems with the heart’s structure. Health care providers usually find severe defects at birth, but some milder defects might go undiagnosed until children are older — or even into adulthood. 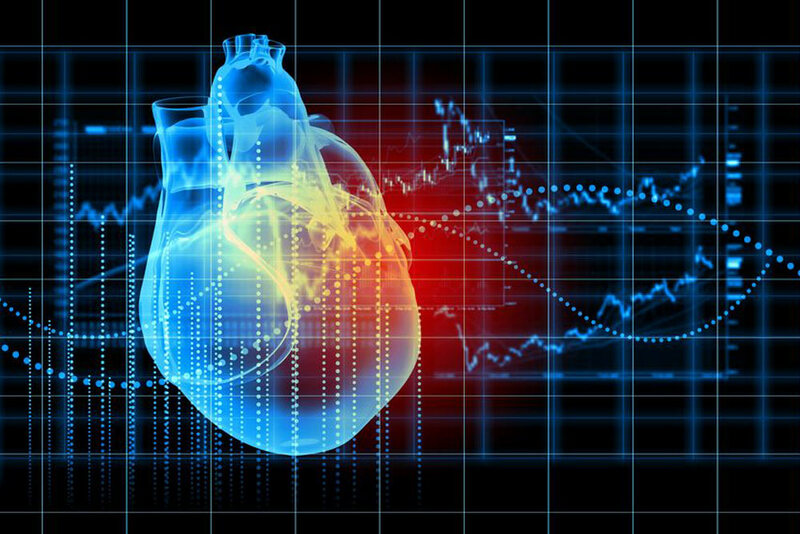 Defects can involve abnormalities in the heart walls, valves, arteries, or veins — which may affect normal blood flow by slowing it down, allowing it to go in the wrong direction, or stopping it completely. This can keep the heart from getting blood to the rest of your body, causing irregular heartbeats, limited blood supply to vital organs, blood clots, heart attack, or stroke. Who is at risk for congenital heart disease? Regular follow-ups with your health care provider can help you diagnose congenital heart disease early and get treatment to avoid complications. Often, diagnosis occurs as a child. If you’re a parent, make sure your child has all of their recommended well-child visits and yearly physicals. How is valvular congenital disease treated? Heart failure is when your heart cannot pump enough blood out to the rest of your body to get the necessary amount of oxygen to the rest of your organs. This is a serious condition, but it does not mean that your heart has completely stopped beating. Heart failure is chronic and progressive, meaning it lasts for many years and gets worse over time. If your heart cannot handle its workload, it may enlarge, develop a thicker muscle mass, or pump faster to try to keep up. Another way your heart might try to compensate is by constricting and making your blood vessels get smaller to try to keep blood pressure higher to direct more blood to important organs, such as your brain — meaning it’s not getting to other organs. These temporary measures are like putting on a bandage when you need stitches — they mask the problem, but they will not solve it. Eventually, the heart will not be able to keep up, which can be fatal if not treated. Who is at risk for heart failure? Unhealthy behaviors such as smoking, lack of physical activity, or eating foods high in fat, cholesterol, and sodium. Keeping a regular log of symptoms is essential in managing heart failure. You should be sure to discuss any changes in symptoms with your provider during your regular follow-up appointments. If you think you may be at risk for heart disease, a visit with your primary care provider is a good place to start. They can help monitor your health and manage existing conditions to keep you living a long and heart-healthy life. Your primary care provider may recommend you see a cardiologist for further monitoring, testing, and treatment. Heart disease can be very manageable with the help of your medical team. Through the choices you make each and every day, you have the ability the help prevent and manage the health of your heart. Have questions about heart disease? Call the Cotton O’Neil Heart Center at (785) 270-4000. Can Bariatric Surgery Help You Lose Weight? Should You Let a Robot Do Your Surgery? Helping Everyone Else, but What About You? You're caring for an aging parent. You're a rock of support for your spouse, and your own children still depend on you. Then, somewhere in-between, you've got to care for yourself. Hopefully, this resource from Stormont Vail Health helps.